Kookaburra Burp Cloth with bamboo towelling. Modern burp cloths. 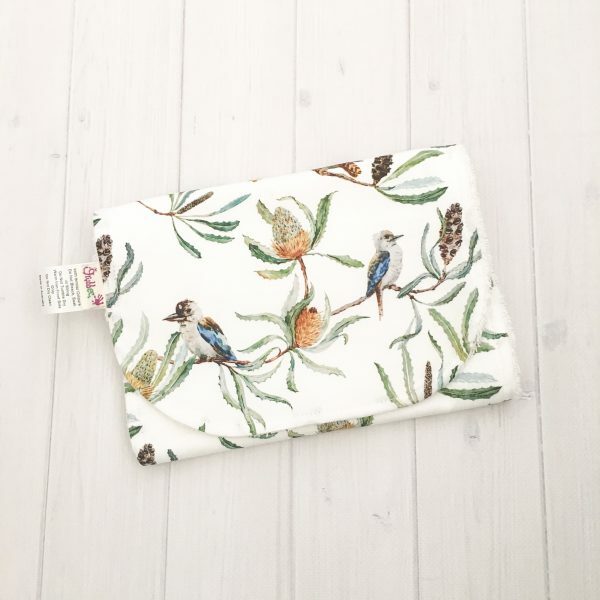 Our modern Kookaburra burp cloths make a great gift for new mums. You won’t find anything like these in the stores. 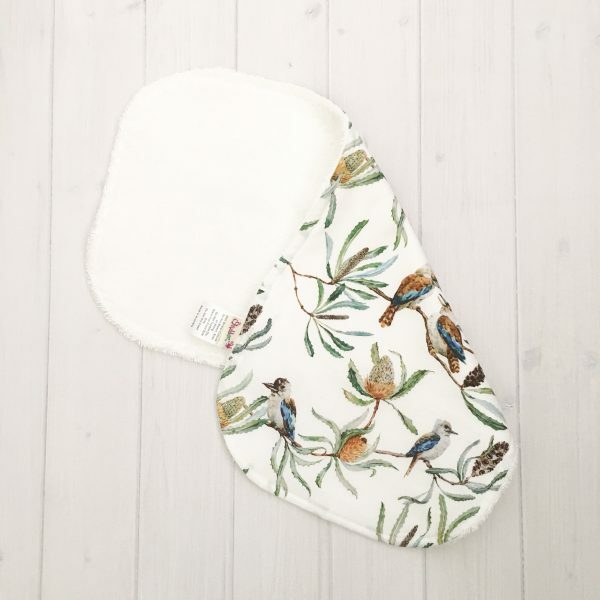 These floral burp cloths are made from digitally printed, medium weight 100% cotton fabric with a woven bamboo/organic cotton towelling, which makes them absorbent and perfect for mopping up spills. They are a trendy addition to any nappy bag. As all of our items are handmade to order, please allow up to two weeks for your item to be made.